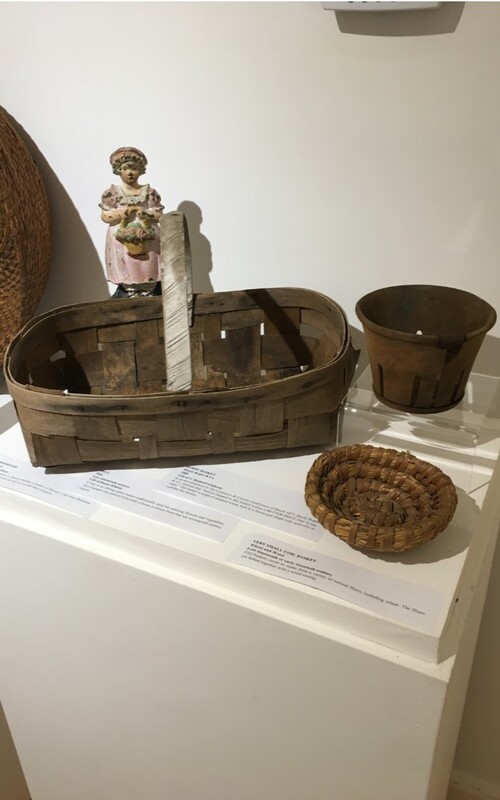 This is most likely the first time selections from the OHS collection of baskets have been on display. The catalyst for this exhibition was the recent gift of two baskets that were actually made in Orient. 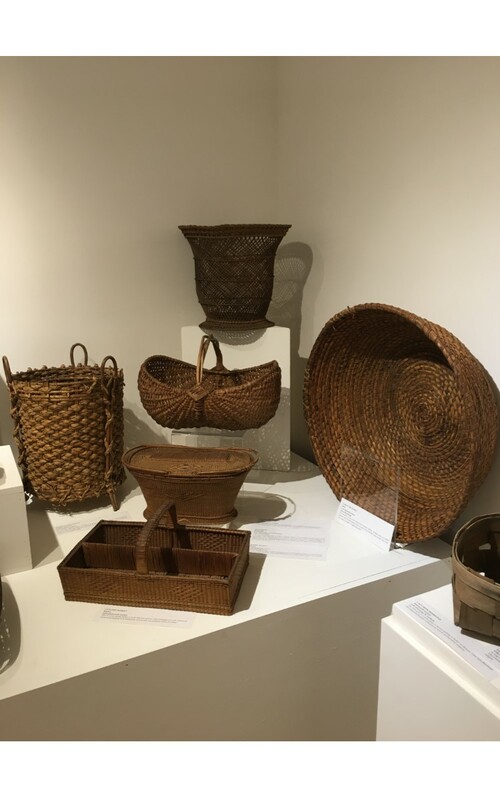 As very little research had been carried out on any of our baskets over the years, this seemed a perfect moment to look anew at the collection and get a sense of the collection as a whole. 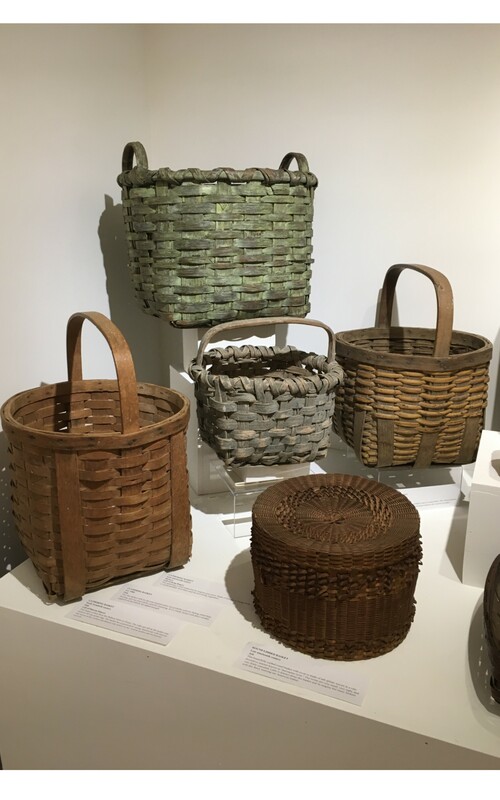 Virtually every culture in the world has produced baskets for practical use, and every corner of America is no exception. 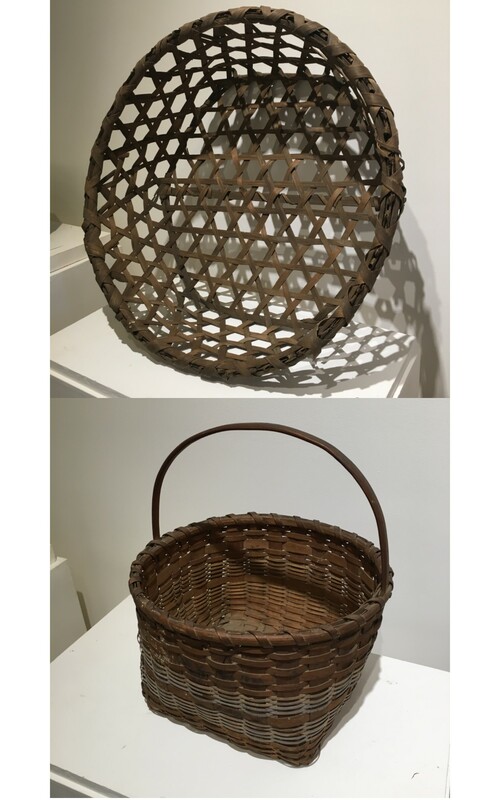 It is difficult to know which baskets in the collection were made here to be used at home, or were made elsewhere to be sold. 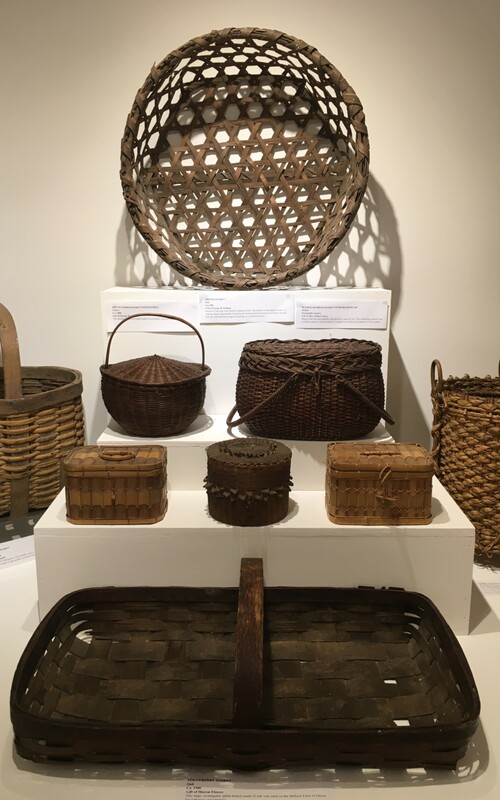 Baskets, along with almost anything else, could be purchased in one of the many shops here or in East Marion or Greenport. 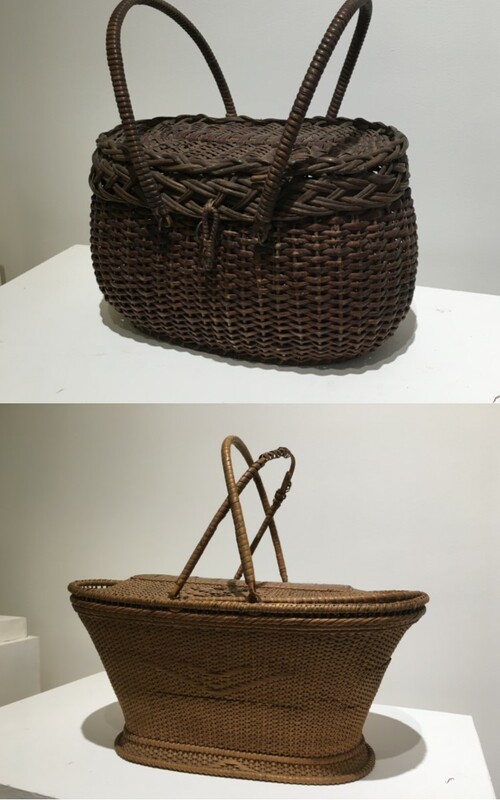 Even when basket making was established in factory settings, they were still mostly made by hand by individual weavers. Very few baskets have any maker’s mark or signature. 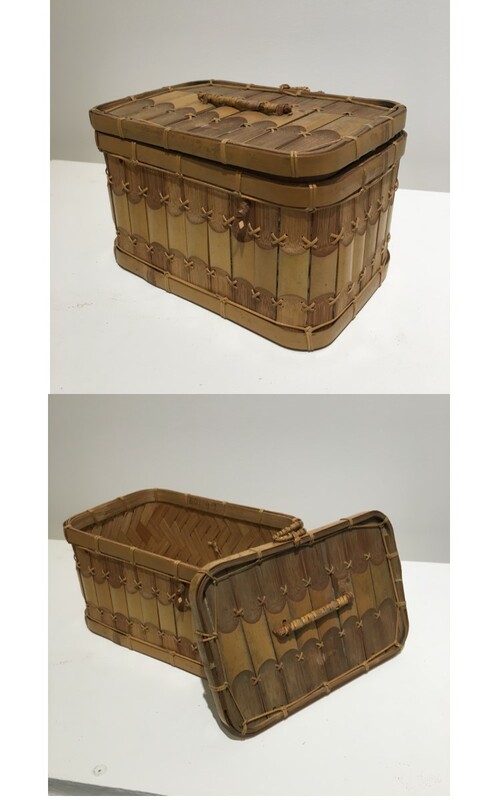 We were particularly pleased, therefore, to receive from Doug and Karin Constant a basket in excellent condition that is not only signed and dated but includes the words “Orient L.I”. Shortly after we received that gift, Priscilla Bull donated a basket with several signatures and a definite Terry family provenance. These acquisitions were the starting point for this exhibition. 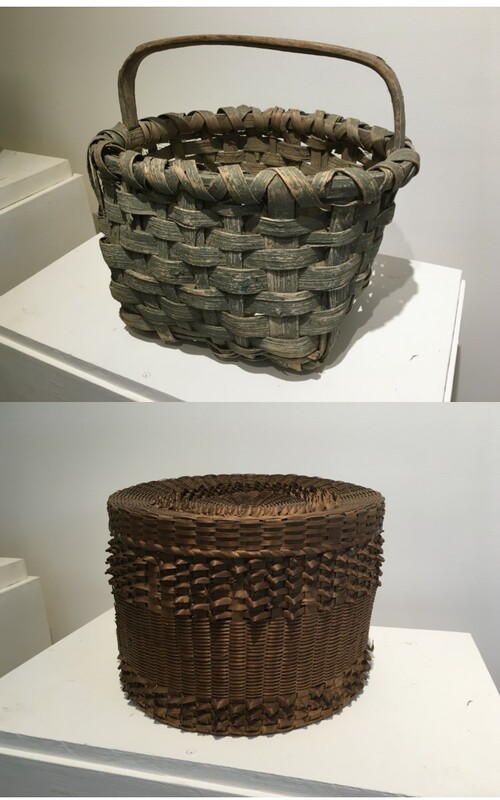 Many types of baskets are included, made of many different materials. Some are gathering baskets specifically for eggs, others for potatoes, still others for berries. Some are sewing baskets, or picnic baskets, or school lunch baskets, or baskets for making cheese. 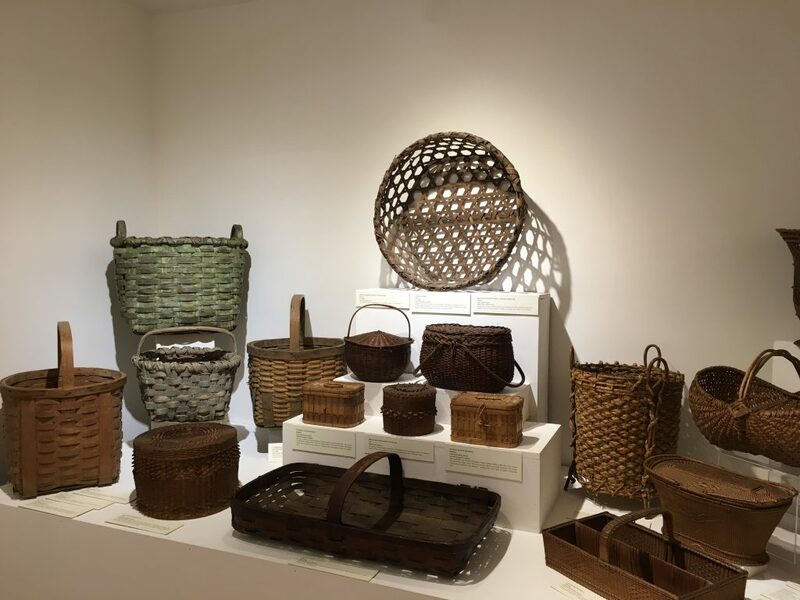 The variety of the collection reflects the numerous ways baskets were used by people as they went about their daily chores in this farming and fishing community of Oysterponds. 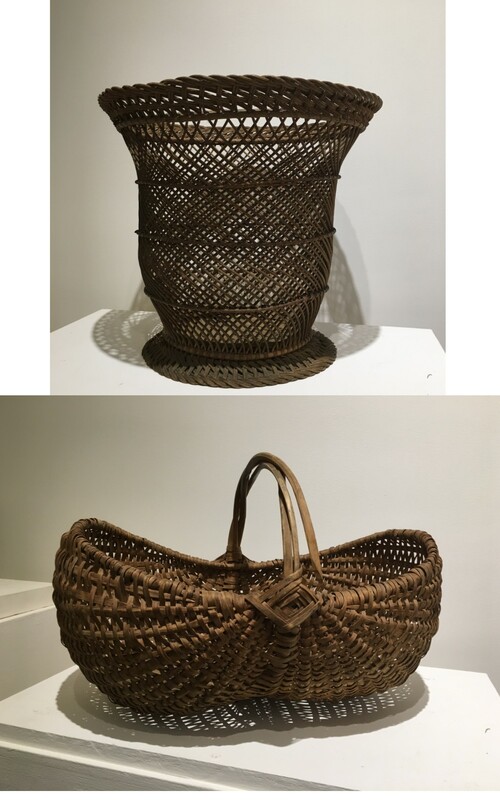 We are very grateful to basket expert Carol Losquadro for all her help with this exhibition.